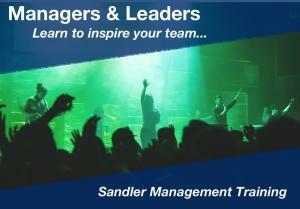 At Sandler, We Are All About Process. Through our relationships with thousands of organizations, we have found that the ones who outperform expectations have a striking similarity. Their leadership has a process around, and excels at, decision-making. They know that when making a big decision, it’s imperative to seek out many different view points – especially opposing ones. Those leaders who only surround themselves with like-minded team members, inevitably have “blind spots”. This is one of the most serious obstacles to rapid revenue growth. That's why there's no surprise that we created a leadership growth model to overcome leadership blind spots. The process, has been tested and proven in multiple industries, revolves around 6 P’s and has an overarching goal of Organizational Excellence. These sequential components create a continuous, repeatable process that will drive your company to long term stability and success. 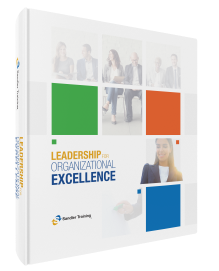 Submit your email below to download the Organizational Excellence brochure to get more details on what the program entails. This program is designed for leaders who have decision-making authority in setting the company’s strategic direction, with an aim of enhancing growth and profitability. Purpose: To help you move your company closer to excellence – by having a vision for where you want to be, a plan to get there, the right positions clearly laid out on the organizational chart, the right people in those positions following the right systems and processes, and posting measurable results that are analyzed regularly to gauge progress towards key goals using the right KPIs. Complete the form below to speak to one of our certified trainers about starting your journey. Don't wait. 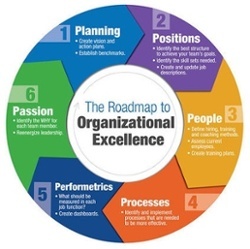 Start you and your company on the road to Organizational Excellence today! 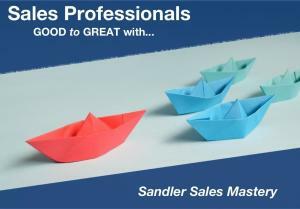 Adopt the Sandler Selling System Today! Want to see the same success as some of your top-performing peers? Come crash the next Sales Mastery class for free to see what it's all about. 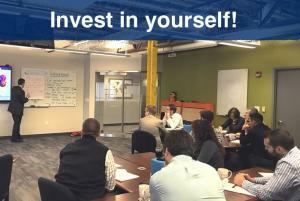 Sandler SaleFish has developed a Management Program that will provide you with the tools to create the evolution you need to get to your next level. This session will help you increase your lead-to-opportunity conversion rate, provide you with questioning skills to get your prospects talking and uncover pain, convert leads to opps and opps to WINS!